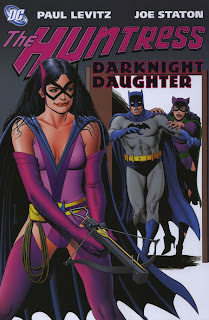 Constant readers know that Silver Age or pre-Modern Era stories are hit or miss for me, and as such I was pleasantly surprised by Huntress: Darknight Daughter, a collection of DC President Paul Levitz's early Huntress stories. This Huntress is not the Birds of Prey's Helena Bertinelli, of course, but rather Helena Wayne, daughter of Batman and Catwoman -- though I found myself enjoying this book much in the same vein as a Huntress or Birds of Prey story. Though Darknight Daughter collects a selection of backup tales, they read effectively like a monthly comic or graphic novel in a way that surprised me. Levitz introduces a supporting cast for Helena in the law firm at which she works, and they have subplots often independent of Helena, making this slice of Gotham feel more realized (the secretary Carole being blackmailed was especially effective). Levitz also worked to tie most of the stories back to Helena and her origins, whether stopping a prison-break lead by Catwoman's old henchman or bringing Helena back to Wayne manor to foil the Joker, in a way that gave every story special relevance. Much of Darknight Daughter also deals with Helena's romance with District Attorney Harry Sims, who early on learns Huntress's secret identity. Levitz draws out the story as Sims worries both about how Helena's secret compromises his legal career and also whether he can be in a relationship where he's not the "hero" -- though embroiling a female lead in a love affair is slightly stereotypical, Levitz makes Helena and Harry believable enough that I felt for them nonetheless. Not to mention, the relationship between Helena and Harry put me in mind of another relationship -- that is, Helena Kyle and Jesse Reese on the Birds of Prey television show. The art throughout the book is by Joe Staton, who also drew All-Star Comics. Bob Layton provides initial inks, and these first stories offer perhaps the definitive depiction of Huntress. Steve Mitchell takes over inks in the middle, and I found his art sketchier and less defined than Layton's. If, however, you really want to see the power an inker has over a book, catch Jerry Ordway coming in on inks in the end -- Joe Staton's art suddenly looks overwhelmingly Ordway-ian, even though Ordway's only inking. Throughout, I was surprised by just how many shots there were of Helena in stages of tasteful undress -- I believe I mistakenly thought these stories were from a more innocent time, but in both art and story Darknight Daughter displayed remarkably modern sensibilities. Some subplots from Huntress: Darknight Daughter are left unfinished, and my hope is that DC will release a second volume of these stories; I know I'd be willing to read more. On now to the first volume of JSA Presents: Stars and S.T.R.I.P.E -- I hope you'll join us. I bought this trade when it came out for two reasons; I love the Earth-2 characters and the Wonder Woman issues have proven difficult to find. I loved it and was surprised at how well the book held up. Just discovered your blog today through Comic Blog Elite. I like it a lot so far. Glad I found it. I too was surprised how well this book held up -- hope DC brings out a second volume! 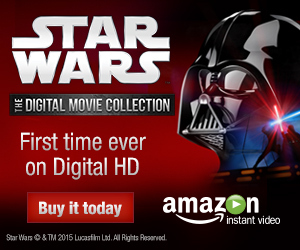 I don't think you want a second volume as much as you think ... This collection gathers all or most of the Levitz/Staton stories, which ran as backups in Wonder Woman in the early 80s. After that, Joey Cavelieri wrote the series, and the writing was terrible, as was the post-Staton art. Cavelieri was young, and he just clearly didn't get the character. ... He later became the guy to relaunch the Huntress as angry mafia princess, and I've always preferred the more mature, more balanced Helena Wayne. You mention that it might be stereotypical that a romance was front-and-center in Helena's life, but I find myself reading female-led series much more often than male-led books because more often care is taken to give the character some kind of personal life. Around the time these Huntress stories were coming out, you had Doug Moench and others writing a Batman whose Bruce Wayne life (often involving liaisons with villainous women) was central to his stories. Then, post-Crisis/post-DKR, it was all bat, all the time. Bruce Wayne ceased to exist, as I recall. Give me characters with more rounded and compelling lives any day.